Hello Bringing Up Buddhas readers! Please join us in Boston on Saturday, June 13th for MASTERING MINDFULNESS AT HOME AND SCHOOL – an experiential mindfulness workshop for teachers, parents caregivers. This is an engaging, interactive, **fun** program for beginners and for those with mature practices. Deepen your practice with four dynamic teachers: Christopher Willard, Janell Burley Hofmann, Daniel Lauter, and Vanessa Gobes covering subjects like: managing teen anxiety, mindful use of technology at home and in class, creative mindful practices for the classroom, exploring meditation through the senses, introducing mindfulness to public schools, sustainable home practices, healing the body through meditation, and more. June is the perfect time to fire up your practice! Parents can engage mindfulness with children during long summer weeks and teachers can use the summer to strengthen practices for a solid September start! Book a sitter, grab a friend or colleague, and make your way to M.I.T. for a class that can change your life and work. Relax your expectations when meditating with small children. If they want to meditate with their feet in the air or their eyes on the ceiling, let them. Posture will develop as they engage consistently in practice. This short video is of me introducing meditation to my son’s kindergarten class. They are on their third round of mini-sittings taking place over five minutes. Each mini-sitting lasts between 30 seconds and two minutes. During this round, they are using their ears to count how many times they hear my bells chime. My son is assisting with the ringing – he’s excited to be an active part of the exercise. Notice the children’s creative posture… but also notice that they are participating attentively. They’re hanging in pretty nicely if you ask me! Giving kids a little wiggle room (literally) will help them acclimate to silence on their own terms. 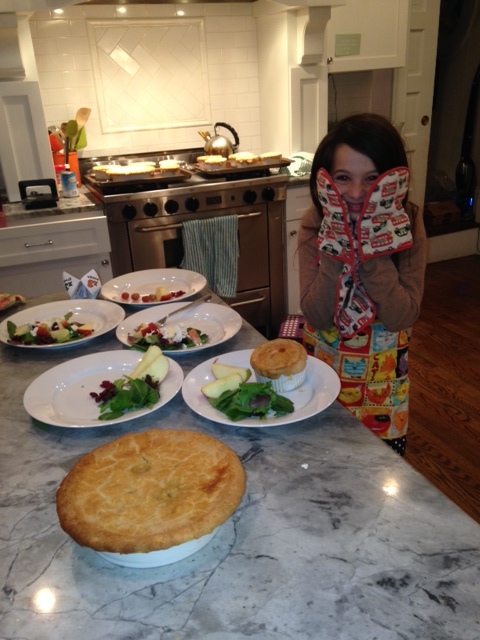 Penelope came home a few days ago with a recipe for chicken pot pie. She had printed it at school and asked if we could make it together for dinner. We started last night around 4:30. I coached her through trimming raw chicken breast and rubbing it down with oil, salt and pepper. I taught her how to dice onions the way my mother-in-law taught me. I did my best to be patient while she scooped organic corn kernels into the pot with her bare hands and made tiny gummy bear replicas out of the dough before we rolled it out. I learned that cooking with my daughter is more of a joy than a chore. We finally sat down to dinner at 7:30. The kids gushed, “Oh my gosh, this is so good,” over and over. They even ate the carrots. But the best part was how accomplished Penelope felt. There are so many things going on outside of the home… activities and playdates, work and parties… but none are so fulfilling to my ten year old as homemade chicken pot pie. Learn more about the importance of ‪#‎familydinner‬ at www.thefamilydinnerproject.org. p.s. Here’s the recipe: http://www.foodnetwork.com/recipes/ina-garten/chicken-pot-pie-recipe.html . It made 10 tiny pies (divided in ramekins) and two 8 inch pies. You can see them in the pics. Every morning before school, my kids eat breakfast, scribble out some homework, and start loading on backpacks, jackets, and sneakers. For seven years, I accepted this sockless scenario as part of child rearing, without questioning it. The big-picture reason for this unquestioning acceptance? Confession time. I was born disorganized. One might even have diagnosed me as a walking, talking, breathing natural disaster. (Gasp!) It’d always been impossible for me to keep my house (physically and mentally) in order. My now-disciplined mind has been well-earned through a maturing meditation and mindfulness practice, though my home continued to function in a rigid state of loose disorder. I’d surrendered to my messy surroundings, believing that chaos was a necessary cog in assembling multiple children for their daily presentation to the world. But wait! One thing my mindful parenting practice has taught me is that I don’t have to accept chaos in my home. And I don’t have to respond to logistical panic with more logistical panic. (ie. “No socks! What am I going to do?? There are no clean socks!! !”) Mindfulness has also taught me how to think in solutions as a default. 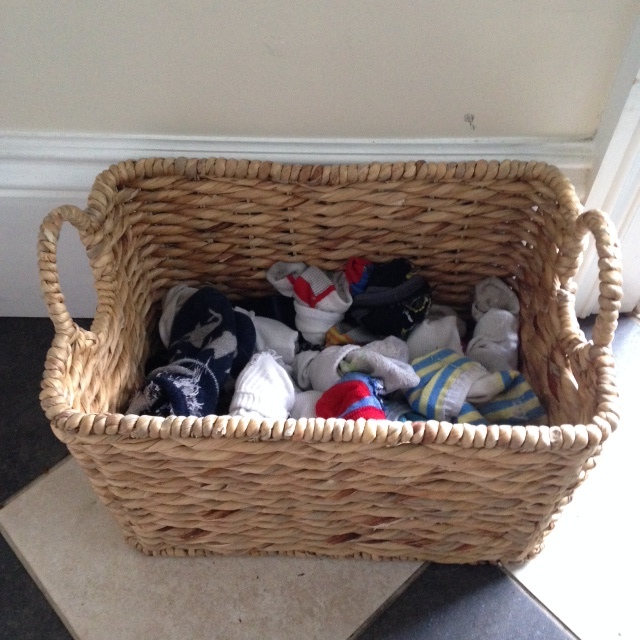 Solutions in the form of a basket of socks by the back door. I’m also thinking that either God is rewarding all of my meditation work with a dose of self-motivated discipline, or He’s really tired of hearing my kids scream in the morning, too. Either way, I’m confident that it was my mindfulness practice that inspired this most excellent (and organized) footwear solution. I just finished teaching a six-week meditation and mindfulness course at a local middle school. I’ve got to admit, middle schoolers are a tough crowd! But I wanted to share a little insight with parents trying to initiate a meditation practice with a 6-8th grader. Know when to give it a rest. Though we may hear people preach otherwise, meditation is not “the answer,” so it’s important that we don’t sell it that way to our budding teenagers. They’re too smart to be fooled and too skeptical to be convinced that sitting still for 20 minutes a day will make all their troubles melt away. Meditation is simply a tool to help kids slow down, diminish stress, and strengthen their connection with higher thinking. Meditation isn’t a magic pill, it’s an open door – as imperfect and unreliable as anything else. When we teach an illusion of perfection and reliability, kids have no soft place to land when, not if, they screw up. So while we teach our kids how to meditate, let’s be sure they know that meditation is a way to soften those hairpin turns along life’s amazing journey, not straighten them out completely. A lot of shifts can take place when a person (of any age) begins meditating. We can prepare our children by letting them know that Self-discovery can be hard work. Incredibly rewarding, but hard just the same. They should talk with parents or counselors about emotional or physical pain that arises during meditation. It’s all part of the healing process, and nothing to be afraid of or embarrassed by. While some of my middle schoolers warmed up easily to a sitting meditation practice, others were stone cold from giddy-up. Just because we, as parents and teachers, believe in this stuff, doesn’t mean the kids will jump on board, even with modern science giving its two thumbs way up. But with the right stimulation, we can encourage interest. We can try different approaches until we meet our children where they are. Example. One day, do an eating meditation, the next a sensory game, the next a mantra-based meditation or maybe something guided, the next share space with a pre-teen without saying a word and see what happens. Reading the child’s non-verbals while teaching is instrumental in maintaining connection. And we must be prepared that some lessons will float belly-up. Just counteract it with a sure-fire winner the next time, be it a sitting meditation or mindful activity. Several of my students did not like the feeling of stillness. The first few times we meditated, I kept my eyes cast down to the floor and observed at least four pairs of legs pumping non-stop for the duration of the sittings. When the closing bell chimed, children reported feeling peaceful, anxious, antsy, happy, sleepy, or calm. Some reported physical discomfort. These are all totally normal responses to meditation. 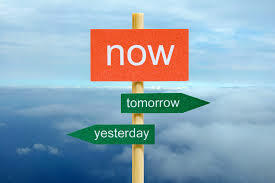 When we meditate, we slow down enough so that we can become acutely aware of what’s *really* happening in our bodies. So while sitting, we might notice back pain that we’ve been ignoring, a tightness in the belly, or clogged sinuses. We might notice a buzzing in our ears, a dull headache, or just that we’re really tired. And most likely it will get worse before it gets better. But in the big picture, it can only get better, because once we hear our bodies communicate, we can work on relieving the discomfort by making choices that make our bodies happy. But let’s get real. Meditation is not for everyone. One of my students was really bothered by the experience of meditating. She did not enjoy it at all. She bravely shared that she couldn’t stand sitting still and felt incredibly anxious every time we meditated and just wanted it to end. But she still came to the class every week, making me believe that even though she wasn’t keen for this particular practice at this particular time, there was something about the idea of self-soothing that appealed to her. The important thing is that she knows peace is a choice. The experience is hers now, and she can do with it what she wishes, be it now, in five years, or never. It’s all okay. Every Wednesday morning, I host a group of neighborhood moms in my living room, where we meditate and discuss mindful parenting. Today we had a seasoned meditator as our special guest – my friend Lama Konchok Sonam, a Tibetan Buddhist monk who directs several spiritual centers around the United States. He shared a couple of terrific parenting tips with us this morning – too good not to share. On a child’s birthday, take him to a pet store and buy him several small animals (fish, mice, birds) – one for every year of his life. Then invite friends over on his birthday and release the animals together. We are all going to die, it’s important to live freely while we’re here. I’m getting teary just thinking about it. He also suggested that we not serve or eat meat at the birthday party. Good thinking. A child between the ages of 8 and 13 can only focus for 14-16 minutes in a sitting, so get her moving at these intervals. A great way to do this is by assigning quick tasks. Write simple directives on index cards (one on each card). Some examples could be: sweep the porch steps, hug your sister for one whole minute, water the plants, meditate for five minutes, take the trash out, find a heart shaped rock, weed a garden, change a lightbulb, watch the clouds go by. Stack the cards and, at the 15 minute mark, let the child pick her assignment. Once the task is done, she can get back to homework and lessons with renewed energy. Teachers, this is a great tool for the classroom, too! Hey! Do you like these ideas? Share them on Facebook or Twitter! Are you local to Boston? Join me for “Introduction to Family Meditation” beginning next week – details online at http://www.vanessagobes.com. 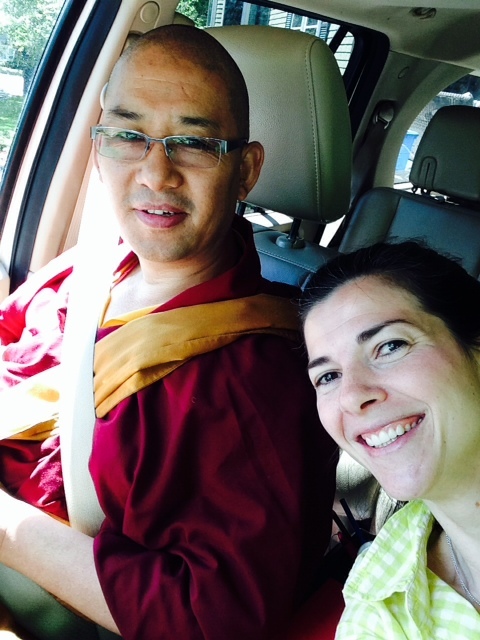 Want to learn more about Lama Sonam? Find him at Drikung Meditation Center in Arlington, Massachusetts. Buddhist teachings are a wonderful layer for any peace practice.